You must make reservations at least 5 minutes in advance of the time at That's Amore Italian Cafe. Free street parking, and we can use the church parking lot across the street. Bus 14 runs directly in front of the cafe. The Mt. Baker Light Rail Station is just 4 stops south. Each off-site catering is custom designed for your event from 30 to 250 people. We can drop off or provide full-service catering. Chef Richard is very flexible in working within your budget. Welcome to That's Amoré Italian Café. We are located directly above the I-90 tunnel on the Ridge of the Mt. Baker neighborhood and just minutes from downtown Seattle. Come gaze into our unique view point of the Seattle Skyline, Puget Sound, and spectacular sunsets over the Olympic Mountains. Before or after your meal, stroll to our View Point Park on the north side of the building for an even larger panorama comprising Rainier Valley, Beacon Hill, First Hill, and all points west. Grilled Porkloin Steak with House Made Potato Gnocchi, Balsamic Port Wine Demi- Glace, Grilled Peppers and Gorgonzola! We Proudly serve Caffe Vita! My husband and I heard about this restaurant from some Italian friends and they were totally sold on it. So we made reservations to celebrate our anniversary there. We loved it! The service, the food, the ambiance were awesome. I would totally recommend this restaurant to whoever wants to listen to me. And thanks to Open Table for helping with my reservations. Wonderful service, great food, perfect ambiance. One of our favorite restaurants in Seattle. We had an awesome evening at That’s Amore! It couldn’t have been any better. The food and wine were wonderful. The service was impeccable. The ambiance is jovial, yet nurturing. And we sat at the back table enjoying the beautiful view of the city. Charming neighborhood restaurant and very accommodating staff. Was impressed with the Italian Wine selection and the waiters knowledge of it. Food was creative and good. Great view of Seattle. Enjoyable! From the moment we walked in, we knew we were in for a very fabulous experience. Service, Food, Extra Care, can’t say enough words to describe the entire experience. Thanks, David (the owner) for the graciousness & having a wonderful staff. This has been one of our favorite restaurants for years, and with the new owners it continues to be a very special place. The generosity, friendliness, and ambiance with it's view of the city are almost enough to recommend it. But the food and service are the toppers. Great flavors, great service. This place is the absolute best. 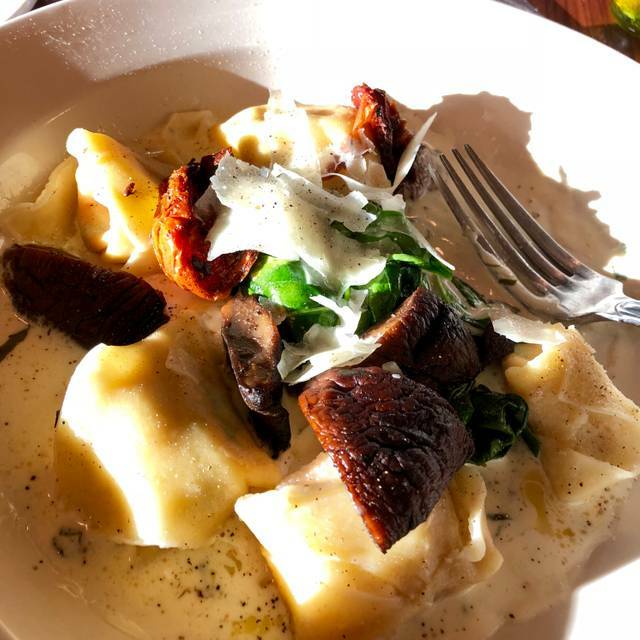 That’s Amore is our go to neighborhood restaurant any time we’re in town. Small and inviting. We used to live in the neighborhood. Always a delight! We had such a great dinner. 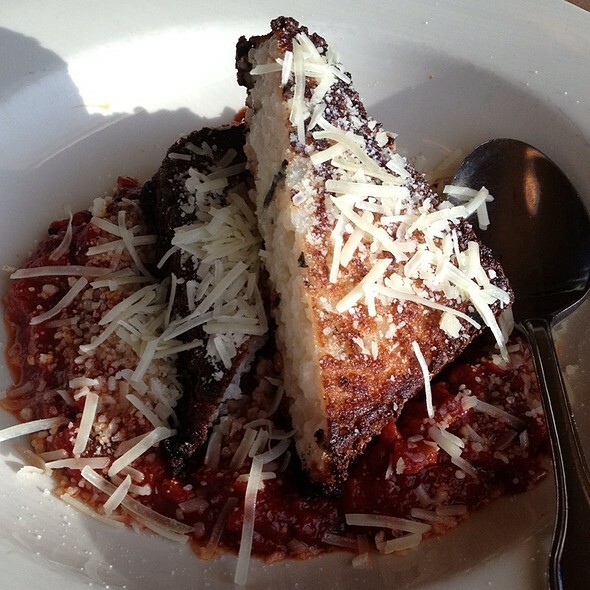 You must try the bruschetta with the best fire seared bread - soft enough to soak up all the good sauce. Pasta was good as always, but wow- the cannelloni for dessert was out of this world- white chocolate with candied orange! Thanks so much. This is one of those hidden gems that you come across every so often. Great food, amazing view of the city and arguably some of the best cappuccino’s in town. Wonderful selection of dinners and desserts! Love everything about That’s Amore! The food is fabulous, staff are always friendly and professional. The view is spectacular. The owners are like old friends. Our go to for special occasions and out of town guests. Great neighborhood restaurant, almost always open. The staff is friendly and observant. The food is very good. Loved it! I had huge group for my sister party. By the time I got there for our reservation. We didn’t have to wait, we were seated right away! A+ for that! We were well greeted upon arrival, so was our guest that waited shortly before our arrival. Waiter was prompt and got our order in, no mistakes! Our food arrived shortly! We had the best seat in the house! With the best view of the south side of the Seattle skyline! Best experience ever. 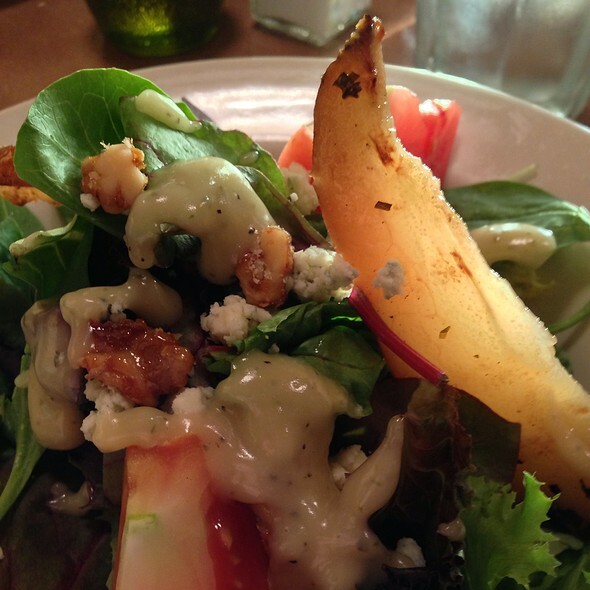 The food was delightful, the service was outstanding and everything about the place was amazing! The view was incredible as well! This is more than a restaurant with delicious food. The service is so warm and inviting and their enthusiasm for what they create every evening is inspiring. Makes us want to move closer to that neighborhood so we can become regulars! Delicious and charming. Excellent service. Great wine selection. Obviously home made food with lots of love in it. That's Amore restaurant has a beautiful view from on top of a hill overlooking Seattle and Puget Sound. 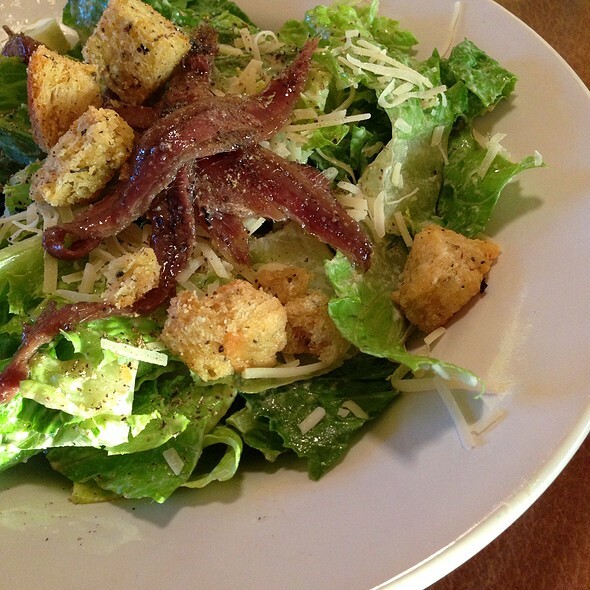 My husband and I go there from Issaquah every couple of months and enjoy the service, ambiance and Italian food. Service was super friendly. Casual and lively environment. We had Caesar salads as an appetizer and I had chicken parmesan with spaghetti and my friend had lamb ragu. Chicken parm is my favorite dish but my chicken had a ton of very pungent herbs...I thought it was just parsley but it wasn't and overpowered the taste of the dish. When I peeled off the cheese with most of the herbs, I was able to eat the chicken which was delicious. I had 2 bites of spaghetti which seemed like it would have been super yummy but the herbs were so strong that I didn't eat more than those 2 bites. My friend liked the ragu but didn't love it...she expected more of a ground lamb sauce vs bigger pieces and said it was salty. I personally would return and would eat the dish I had but specify no herbs. I should probably rate the experience 3 stars based on issues with the food but the service was so nice and even asked for feedback on the food so I appreciate their effort. The only thing better than the food, is the incredible service we received. Fantastic dinner with a view. The owners and staff are always welcoming. A lovely neighborhood gem. Wish there were more like these. Excellent food, tables are very close to each other. As always, the food and service (especially Mo) was outstanding. The new owners and chef are doing a great job! 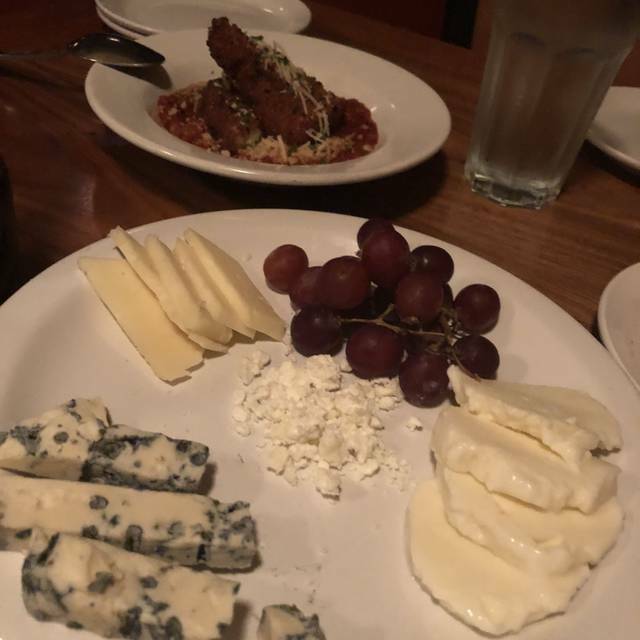 Lovely food, great location and really friendly staff, gave us lots of tips about what to see around Seattle. The specials are amazing. I had the halibut over crispy wild rice circled with Julienne veggies with a fine beure blanc sauce. I could lick the plate. Yummy. We had the daily special of espresso encrusted halibut with forbidden rice and sauteed veggies. It was wonderful! Also excellent was the Caesar salad and mussels starter that we shared. The staff is very helpful and friendly. We will definitely come back again. Better than ever. Always a fun neighborhood dinner spot. The new owners have made just a few tweaks on some of the most popular dishes that make them better than ever! Valentine’s Day can be a challenging night for any restaurant, but it makes the great ones shine! David and Guy run an absolute delight. Atmosphere, location, clientele, service (Mo is a peach), FOOD and View...Perfect!!! Any night I go out with my wife is amazing, Amore added a dozen cherries on top of the Sunday! A rarely given 10 out of 10! Great food - great service - price was higher than expected, but special menu for Valentine's Day - about $250. for two of us. Is the restaurant anti Valentine's Day? There was a special, pricey full course menu but no hearts, flowers or Valentine greetings for the couples who dined. That's Amore is our favorite Italian restaurant in Seattle. We're so lucky to have this gem in our neighborhood. 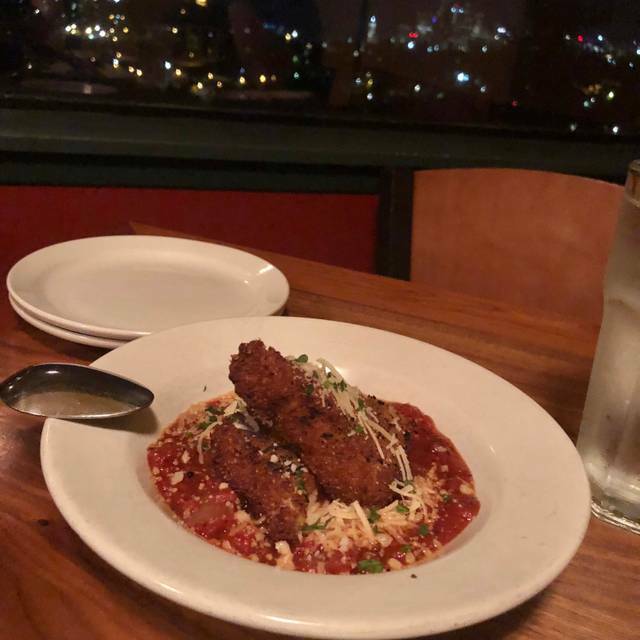 The food is always incredible and you can't beat the view of the Seattle skyline. The service is also exceptional. Some of the best food in town, every time I visit here I'm always walking out with a massive smile and a happy belly. I can't wait to go back! Great vibe. Happy to find this little neighborhood gem. Thanks Evening Magazine. Our evening was perfect! Great food, lots of patrons... the new owner is adding some good touches, and keeping the basic menu we live so much!! Our dinner was very disappointing . . . it is possible we went there with very high expectations after the Evening Magazine piece. Our appetizer Fried Polenta Cake with mushroom sauce was good. We then ordered the Tortellone Special with mushrooms and short ribs, Fruit Di Mare with linguine, Wild Boar Ragu and Scampi Carbonara. The Tortellone was way under-cooked (beyond al dente! ), felt like it was rushed, and the filling had an overpowering taste of strong raw garlic. The Fruit Di Mare had a delicious sauce with well balanced spiciness, but the linguine was way over-cooked, slightly mushy and definitively not enough sauce or seafood (four mussels, two tiny calamari pieces and three prawns. 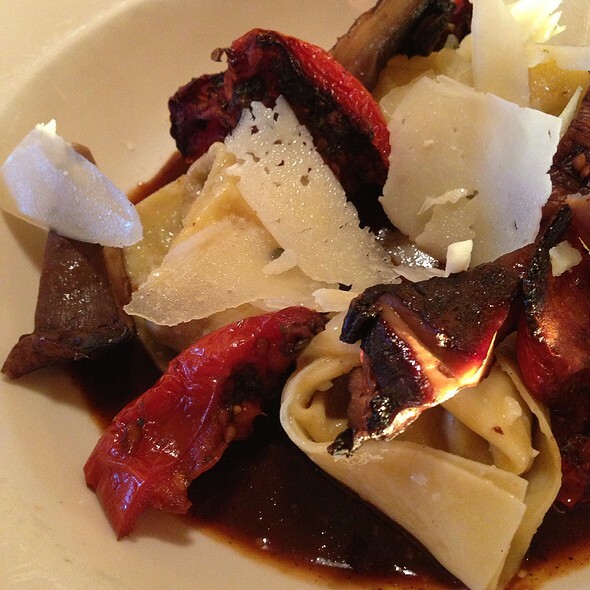 The Wild Boar had the potential of being a fantastic dish with all the right ingredients, but it was too sweet and the wine in the sauce had a raw-wine taste; the pasta in this case was perfectly cooked. The Scampi Carbonara tasted delicious, but the linguine was way over-cooked and it was dry, lacking sufficient sauce (we had to order extra sauce). Service was friendly, accommodating, informative. This restaurant has a potential to be a good authentic Italian, neighborhood restaurant, but they have to learn how to cook the pasta like an Italian (al dente).